Company Overview - Lodovico & Associates, P.C. This is what we're about. Our Principals, our family! From left to right: Tony, Gene (middle), and Geno. 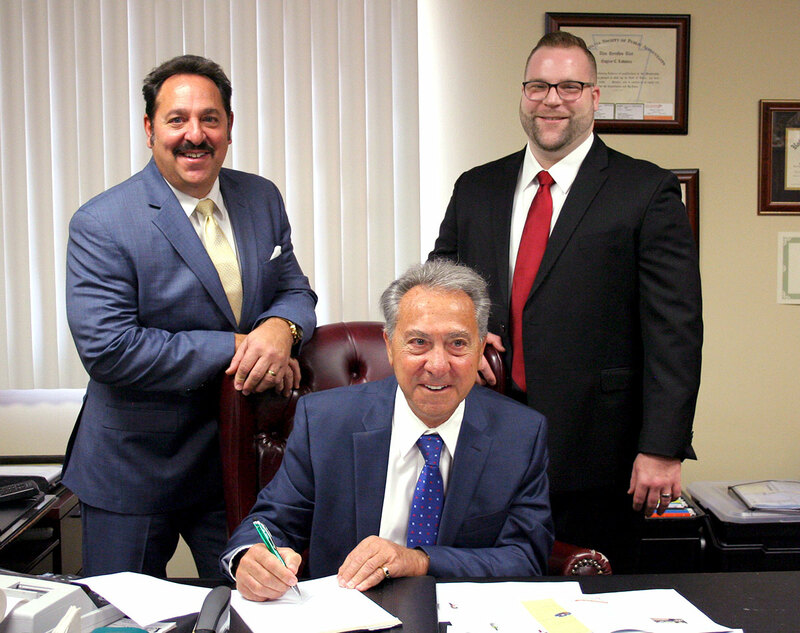 Serving three generations of clients, Lodovico & Associates, P.C. has been providing quality, personalized tax and financial services to individuals and businesses for 46 years. While keeping to its roots of customized, personal service for each client, the practice has grown to provide accounting services to a wide variety of individuals, businesses and estates in Allegheny, Westmoreland and surrounding counties. 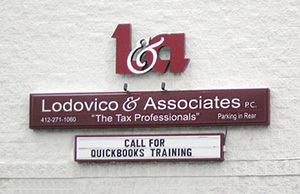 Lodovico & Associates began humbly when Eugene Lodovico offered CPA services from his home in Swissvale, Pennsylvania, with a goal to cater to local individuals and small businesses. The practice moved to an office in Swissvale’s business district. Lodovico & Associates was officially founded. After years of working alongside his father, Tony Lodovico joined him as partner in 1990. Lodovico & Associates had relocated its office to Forest Hills, Pennsylvania and doubled its staff in order to service the growing client base. A second office was opened in Murrysville, Pennsylvania to service the growing communities in Westmoreland and surrounding counties. Geno Lodovico, representing the third generation in this family owned and operated business, joined his father and grandfather in the business. With a strong foundation for growth and a commitment to customer service, the future remains very bright for this boutique company as they continue to stay on the cutting edge of tax challenges and reporting issues on both an individual and business level. Our mission is to help clients maintain financial viability in the present while taking a proactive approach to achieve future goals. This requires open communication and personalized attention in order to understand our clients’ needs and help them achieve their objectives. Our firm is dedicated to meeting these goals with high standards of excellence and professionalism. Commitment: We are committed to providing our clients with open communication that results in solid, expert tax advisory. Our trusted tax advisers and consultants are only a phone call away and available to discuss your questions and consult on your personal tax situation. Leadership: At Lodovico & Associates, we are prepared to help you make decisions. From business tax strategies to estate tax planning to individual returns, our highly knowledgeable advisers are here to help you make choices that limit your tax implications. Creativity: We know the tax laws inside and out to help you navigate the law and use it to your benefit. Innovation: Our practice utilizes the latest technologies in all that we do and are committed to constantly educating ourselves to stay ahead of changes in tax laws and policies for the benefits of our clients.